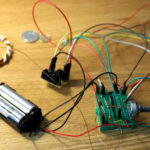 This experimental project shows how to use ATtiny13 to synchronize live music and lights with only a few additional components required. 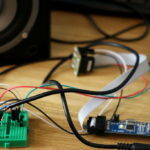 Project uses single ADC (Analog to Digital Converter) channel for signal acquisition and some DSP (Digital Signal Processing) calculations that in real-time separate three frequency bands and make the LEDs dance in sync with the music. 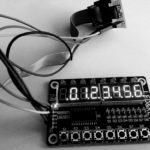 This project also proves that real-time DFT (Discrete Fourier Transformation) is possible on such small MCU like ATtiny13, which offers only 64B of RAM and 1024B of FLASH. Project doesn’t require any specific equipment and the parts costs are below 3$. The code is on Github, click here. 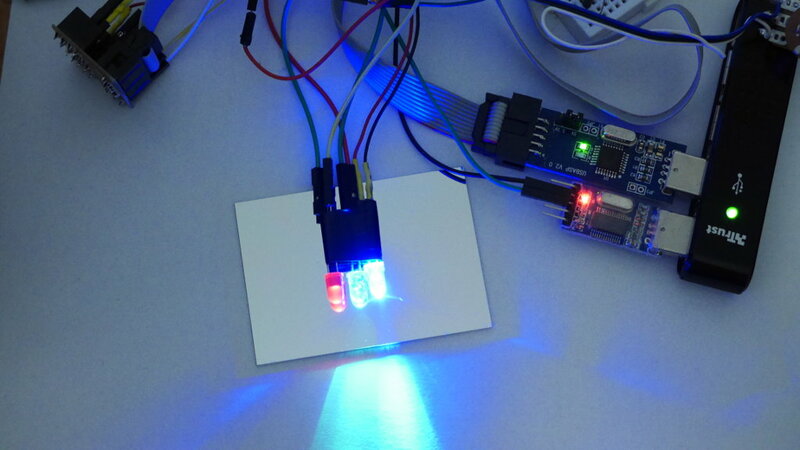 In this project ATtiny13 has a three major tasks: read audio signal, process signal and visualize frequency bands using LEDs. Simplified block diagram is presented bellow. The input signal source can be any audio signal. 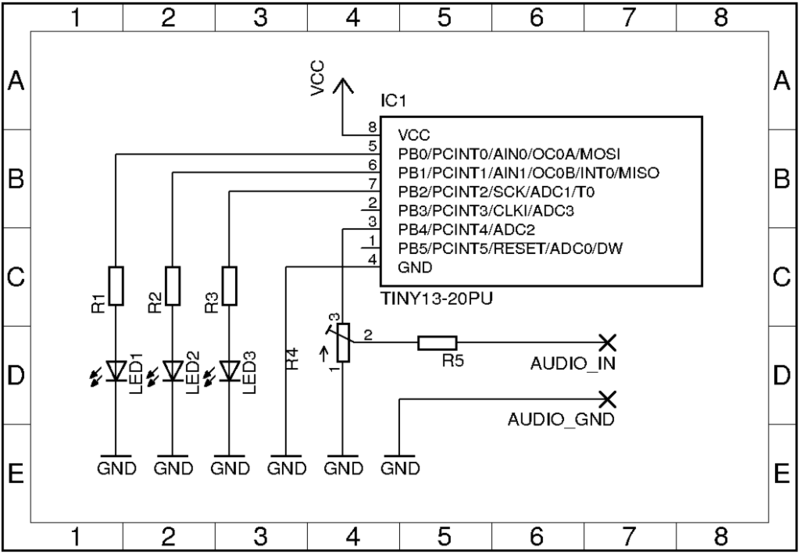 MCU uses ADC to read analog signal (signal acquisition) with required FS (Sampling Frequency). This phase produces N signal samples – discrete signal in the time domain. Next, signals are converted from time domain form to the frequency domain using a DFT algorithm. The product of that phase is N values that represents amplitudes of N frequencies, where particular frequency is, F(n) = FS/N. Because of the Nyquist frequency rule, which is a property of a discrete-time system, we can use only N/2 of samples for further signal analysis. Please note, that to simplify algorithm complexity, only a real part of complex numbers has been used. At last, MCU put some visualisation based on information from previous phase. Each LED represents a frequency bandwidth. MCU checks all frequency amplitudes, and by toggling LEDs It simulates Software PWM, what in result gives quite good control of LED brightness. Calculations on float/double take much of RAM, CPU time and FLASH space. It was a critical issue for the project realization. Solution was to make it possible to replace all real numbers by integers. Eliminations of real numbers was a good optimization trick but still, It was not possible to implement efficient algorithm. Solution was, adding precalculated twiddle factors for 6-point DFT, using array of short integers and focusing on calculations only for real part of complex numbers. In result 31 bytes (48.4%) of RAM has been reserved for arrays and 33 bytes (51.6%) was left to use by program. For some smartasses that are interested in why twiddle factors are stored not in PROGMEM but in RAM. It’s an optimization. Accessing data from RAM is a bit faster as it takes extra steps to get data from PROGMEM. For more information click here. Popular implementations of FFT (Fast Fourier Transformation) require more program space then offers ATtiny13. It’s worth to note, that originally, algorithm was designed to do calculation for both parts of complex numbers and calculate a signal power as a product for next phase. However, it require ~20% more program space and >50% more RAM. Solution was, combaine some features of naive version of DFT with precalculated twiddle factors using in FFT algorithms and do calculation for only real part of complex numbers what is good enough, as for this project. In result program size is ~464 bytes (45.3%). This code is written in C and can be compiled using the avr-gcc. More details on how compile this project is here. Which microphone was used in this project? 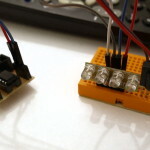 I’m using KY-038 sensor to input the audio but so far the LEDs don’t react like in the video. Is this microphone sufficient for the project? Would you suggest amplification? Hi, the project was tested with headphone audio output from my computer but you can use electret microphone and LM358 as amplifier. Hi! 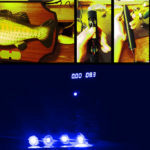 Just made this Dance Lights with FFT…. in “Stereo Vision” LOVED IT! and placed it beside my LM3916 VU meter project. Thanks for sharing the code and schematics! 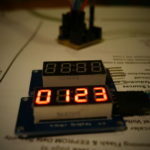 Currently you get a kind of PWM linked to your threshold, what do you think about using TCCR0A and TCCR0B and set up a true pwm ? 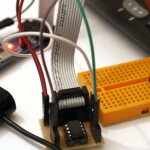 ( Attiny861 has 3 PWM ). I guess it would be nice with some kind of log(re[n] ) and scaling before setting PWM ? Have you seen this ? 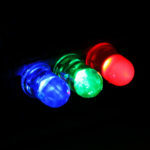 My goal is to create a 100+ projects on ATtiny13. On other chips with more RAM and/or PWM channels, a lot of improvements could be done in easy way. However, this one with “scaling effect” can be implemented using Software PWM, as well. Regarding current algorithm and calculations for more points. 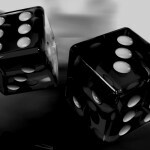 Before I started this project I’ve produce some materials and scripts in order to make a simulations on local machine. I think it will be a part of other post, soon. But as for now – bellow you can find a python code that calculates Twiddle Factors of declared N what is the only required thing to extend the number of points on this project. 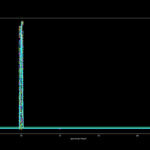 Are you sampling ADC with 150kHz ? and if so why ? Hi, after I read your comment I realized that I made a copy-paste mistake. Of course, this example will work with higher sampling rate, but it result in poor quality. Project has been tested using @1.2MHz internal clock source. ADC division factor is set to 64 so the ADC sampling frequency is 18750Hz (F_CPU/64). Thank you! NOTE: “copy-paste mistake” has been fixed on both blog and github. It is an impressive project and works good obviously. I was wondering, if a discrete cosine transformation DCT (or FCT) as used in jpeg compression could do same with less recources. Since you are dropping the imaginary numbers. Yes, since I’m using only a real signal for calculation, the DCT would work here. Very good tip. Thank you!